I’ve been asked many times if there are any real ways to make money online. I would definitely say YES, but the truth of the matter is you need to sift through the good from the bad online money making opportunities. If you are looking for some legitimate real ways to make money online I’ve gone ahead and compiled a few lists of genuine real ways to make money online. I’ll be updating these lists whenever I come across a legitimate opportunity. I will also be reviewing some of the better sites from time to time. Do you love writing, if so here is a list I put together for places that you can get paid for providing your services. Elance – Is a great way to make money online as a freelancer. oDesk – Is almost the same ideas as Elance . Microworkers – Make money by performing mini-tasks. Dollar3 – Another gig site with price point in multiples of $3.00, starting at $3.00. Fiverr – Make money online by offering virtually any service or mini-task for $5.00! Just a Five – This is similar to Fiverr. TenBux – You can Make money with gigs that cost either $5.00 or $10.00. UpHype – This is another site that you do gigs for $8.00, $16.00, or $24.00. Demand Media – An awesome site for freelance writers. You must be approved first and they are quite selective). But if you are accepted you’ll be able to make up to $15.00 plus per article. Associated Content – With AC you will Make up-front money for articles. Break Studios – This is another site that is quite similar to Demand Studios if you are into Freelance writing, although they pay much less (up to $8.00 per article), having said that, the length of the article can be shorter. For more Information on these Freelance writing jobs check this page. When I first started out making money online this was one of the methods I used. For me it was the best way to get started with working online and making money from my writing. There is no cost for this method. I’m really not a very good writer but one of the first articles I ever wrote and submitted to a Revenue Sharing site started making me money the first month and has continued to earn money ever since. The article took me a few hours at the most to write and publish and has made me a few hundred dollars since. I wrote that particular article and never did do anything over the past few years to it. Even as of yesterday I made $15.00 from that one particular article where I recommended a few products where someone had gone ahead and followed my recommendation and purchased the product. How cool is that do the work once and get paid over and over again for as long as the article is up. That’s passive income for you! It doesn’t cost anything, and you can have your first article up in an hour or so. The more you know about researching keywords with regards to SEO (search engine optimization)the better the chance you will get in having your article on the first page of google or in fact other search engines as well. When you are able to have your article on the first page you are guaranteed traffic and earnings. There is a little learning curve to keyword research but I was lucky enough to have found a keyword tool that made the whole process so simple. The recommendation of products is known as affiliate marketing. There are an endless amount of different topics to write about. The nice thing about submitting articles to these sites is that it costs you nothing. So if you are really interested in earning some extra money online than it might be helpful if you bookmark this page and come back often. I hope you enjoy and find this page useful. Maybe you are good with drawing or graphics and you have an idea for a design that you would like to put on some simple product like t-shirts, magnets, mugs, handbags,iPads cases, iPhone cases, however, you don’t want the hassle of taking on the expense that is envolved with having inventory that for reason doesn’t sell. The below options are ideal for this type of situation – in majority of cases, it’s free to setup a virtual storefront, and when any of your products sell make money. But the nice thing about POD is if nothing sells, you don’t lose any money. These POD websites are pretty easy to set up and you don’t necessarily have to be an artist because there is plenty of royalty free clip art around. I know of quite a few people that make a full time living from just doing this method alone. Another good thing is that you can can use your articles on Revenue Sharing Article Websites to promote your products. Zazzle – You can design your own products t-shirts, mugs, leggings, cases, baby clothes, cards, etc. and sell them from your own virtual storefront. E-Shirt – Cheaper alternative to Zazzle or cafe Press but focuses mostly on t-shirts. And if you are wondering do people really buy this stuff… Most Definitely! I will be reviewing these sites in the future as I use them quite often. So keep checking back if you are interested in this method. Now, if you are a budding Photographer or just have a load of photographs on your computer that you have taken over the years there are numerous websites that will let you to sell your images or photos that you have taken or created. So get out your camera and make some money! There are a number of online place that you can sell products that you own. eBay – Is one of the most popular online auction sites. Gazelle – Is an awesome place to sell back your gadgets that you don’t use anymore (like your old laptop, iPhone, etc.). They even pay for the shipping. Amazon – You can get a gift card credit when you trade or sell back items to Amazon. Craigslist – Now everyone is familiar with the most popular classified online site. The most popular (and free) classified site online. So don’t just throw away your Junk! 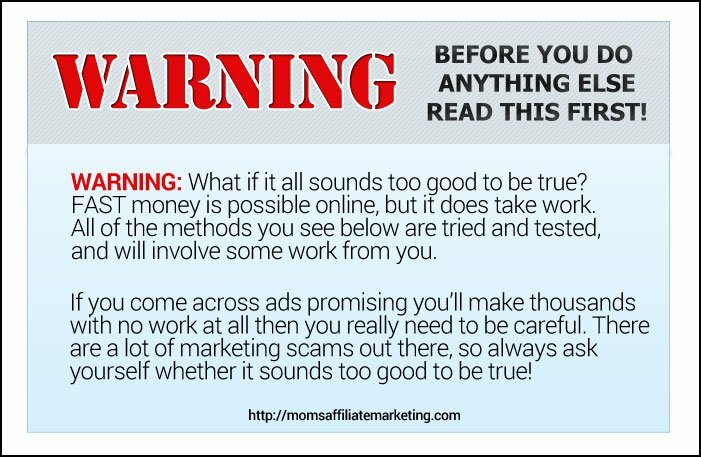 If you are aware of any real ways to make money online that you think would be helpful to add to the lists, please send me an email!